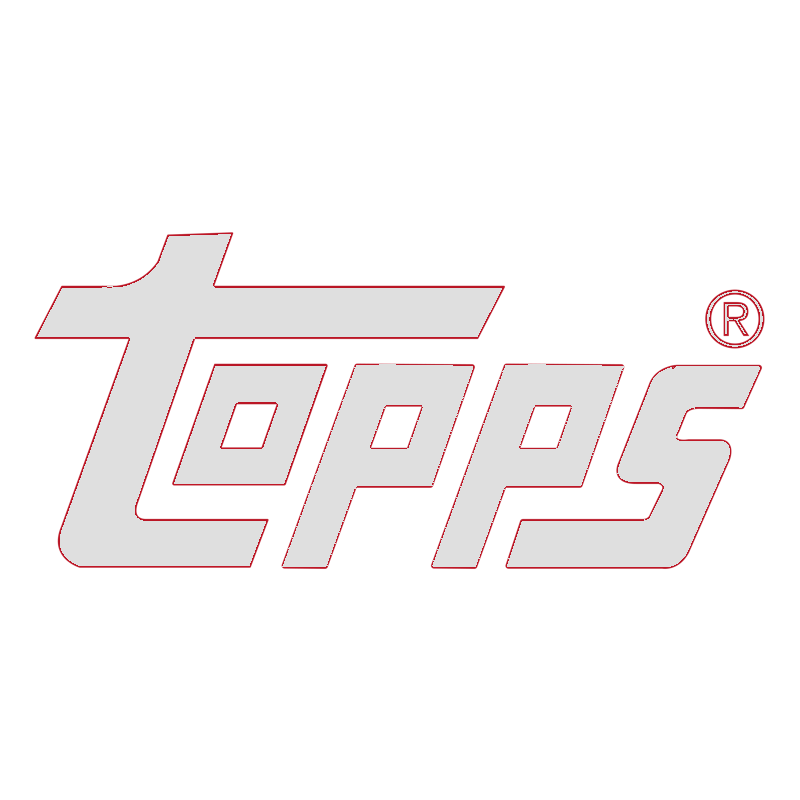 TOPPS NOW® Future cards offer fans and collectors a chance to win big based on the results of the 2019 season! Future Cards feature a player and possible future moment on the front, and a variable prize and scratch-off redemption code on the back. 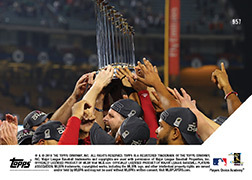 Each TOPPS NOW® Future World Series® card featuring the MLB Baseball Team that wins the 2019 World Series has a code on the back that can be entered on Topps.com to redeem the prize indicated on the back of the card! Enter your code at Topps.com/toppsnowfutureredeem after the 2019 World Series. PACK ODDS: Approximate odds per pack of finding Specific Team Future Card 1:10; Specific Team Mystery Autograph Redemption 1:120. 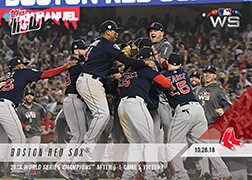 Each TOPPS NOW® Future World Series® Card featuring the MLB Baseball Team that wins the 2019 World Series has a code that can be redeemed for the specific set or card listed on the back of that Future card- either a 2019 TOPPS NOW CHROME SET or a TOPPS NOW AUTOGRAPH card. No refunds or substitutions of the TOPPS NOW Future cards or of redemption cards or sets permitted. Not responsible for typographical/printer errors. We reserve the right to cancel the TOPPS NOW Future program, including redemption products, at any time. NO PURCHASE NECESSARY: Open only to U.S./Canadian (except Quebec) residents. For a chance to obtain any of the cards listed above, at the same odds, while supplies last, hand print your name and complete address on a 3 x 5 card and mail in a #10 envelope to: NPN 2019 TOPPS NOW FUTURE - NPN GROUP 16, P.O. BOX 5013, SCRANTON, PA 18505. Only one card per envelope, mailed separately, postmarked by June 13, 2019 and received by June 20, 2019. No metered mail. Limit 1 request per household for 2019 Topps Now Future. Failure to comply will result in all entries disqualified. Drawings on or about June 27, 2019. Potential Canadian winners will be required to first correctly answer the mathematical skill-testing question. Include on a 3 x 5 card the answer to the following skill-test question: 11 X 4 + 25 – 9 = ? Major League Baseball affiliates not responsible for this promotion. 2019 TOPPS NOW® FUTURE WORLD SERIES® CARD CODES EXPIRE ON DECEMBER 31, 2019. DETAILS ON INDIVIDUAL CARDS. TOPPS DOES NOT, IN ANY MANNER, MAKE ANY REPRESENTATIONS AS TO WHETHER ITS CARDS WILL ATTAIN ANY FUTURE VALUE.